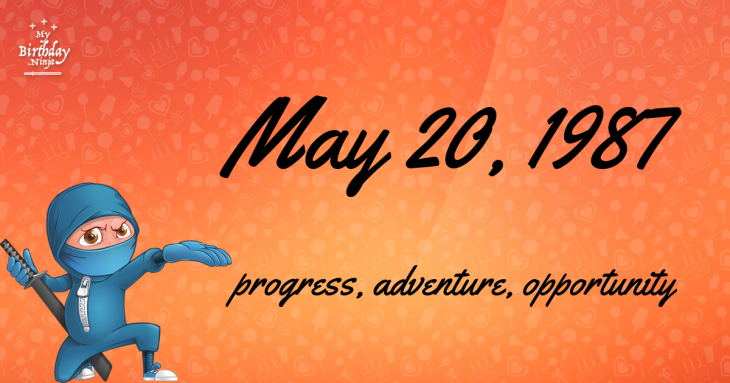 Here are some snazzy birthday facts about 20th of May 1987 that no one tells you about. Don’t wait a minute longer and jump in using the content links below. Average read time of 10 minutes. Enjoy! What day was my birthday May 20, 1987? May 20, 1987 was a Wednesday and it was the 140th day of the year 1987. It was the 20th Wednesday of that year. The next time you can reuse your old 1987 calendar will be in 2026. Both calendars will be exactly the same! This is assuming you are not interested in the dates for Easter and other irregular holidays that are based on a lunisolar calendar. There are 29 days left before your next birthday. You will be 32 years old when that day comes. There have been 11,659 days from the day you were born up to today. If you’ve been sleeping 8 hours daily since birth, then you have slept a total of 3,886 days or 10.64 years. You spent 33% of your life sleeping. Since night and day always follow each other, there were precisely 395 full moons after you were born up to this day. How many of them did you see? The next full moon that you can see will be on May 18 at 21:13:00 GMT – Saturday. Fun stat: Your first one billion seconds (1,000,000,000) happened sometime on January 26, 2019. If a dog named Liralady - a Shetland Sheepdog breed, was born on the same date as you then it will be 144 dog years old today. A dog’s first human year is equal to 15 dog years. Dogs age differently depending on breed and size. When you reach the age of 6 Liralady will be 40 dog years old. From that point forward a small-sized dog like Liralady will age 4 dog years for every human year. The First Council of Nicea is formally opened, starting the first Ecumenical Council of the Christian Church. Napoleon Bonaparte leads his French troops into the Battle of Bautzen in Saxony, Germany, against the combined armies of Russia and Prussia. The battle ends the next day with a French victory. The Triple Alliance between the German Empire, Austria-Hungary and the Kingdom of Italy is formed. Cuba gains independence from the United States. Tomás Estrada Palma becomes the country’s first President. In Operation Redwing, the first United States airborne hydrogen bomb is dropped over Bikini Atoll in the Pacific Ocean. Church Street bombing: A car bomb planted by Umkhonto we Sizwe explodes on Church Street in South Africa’s capital, Pretoria, killing 19 people and injuring 217 others. More than 118 people are killed in two bombings in Jos, Nigeria. What does my birthday May 20, 1987 mean? 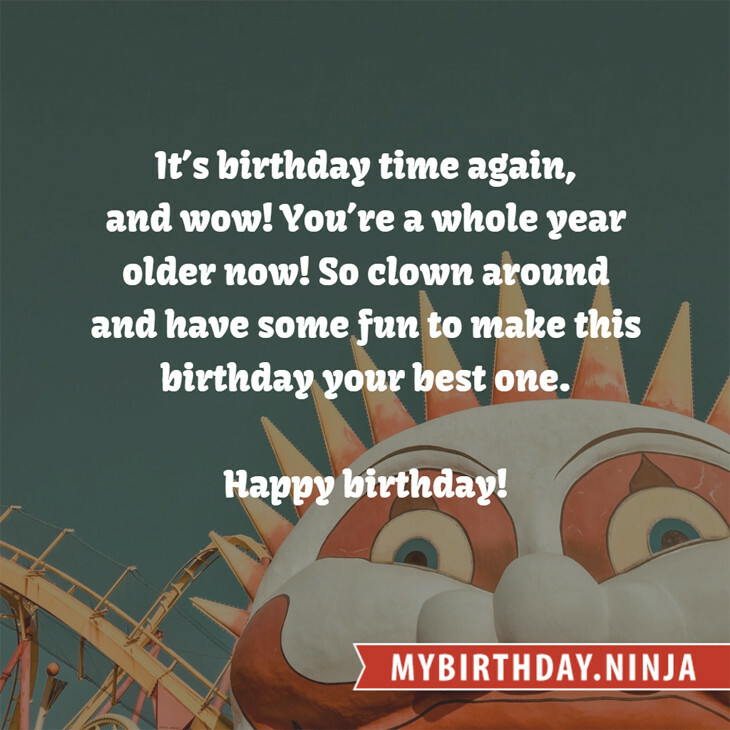 Your birthday numbers 5, 20, and 1987 reveal that your Life Path number is 5. It represents progress, adventure and opportunity. You possess the curiosity of a cat and long to experience all of life. The following celebrities also have the same life path number: James Coburn, Lynda Day George, Grigory Leps, Richard Desjardins, Shiho Niiyama, Joyce Jonathan, Izumi Inamori, Jillian Ward, Chiwetel Ejiofor, Peter Hawkins. What is the birthday horoscope for May 20, 1987? The Western zodiac or sun sign of a person born on May 20 is Taurus ♉ (The Bull) – a fixed sign with Earth as Western element. The ruling planet is Venus – the planet of love and beauty. According to the ancient art of Chinese astrology (or Eastern zodiac), Rabbit is the mythical animal and Fire is the Eastern element of a person born on May 20, 1987. Fun fact: The birth flower for 20th May 1987 is Lily of the Valley for purity. What is the Love Match for May 20, 1987? When it comes to love and relationship, you are most compatible with a person born on February 27, 1964. You have a Love Match compatibility score of +151. Imagine being in love with your soul mate. On the negative side, you are most incompatible with a person born on November 8, 1966. Your incompatibility score is -162. You’ll be like a cat and a dog on a love-hate relationship. Arf-arf, I want to bite you. Meow-meow, stay away from me! How many babies were born on May 20, 1987? Base on the data published by the United Nations Population Division, an estimated 138,691,278 babies were born throughout the world in the year 1987. The estimated number of babies born on 20th May 1987 is 379,976. That’s equivalent to 264 babies every minute. Try to imagine if all of them are crying at the same time. What is the popular baby name on 20 May 1987? Here’s a quick list of all the fun birthday facts about May 20, 1987. Celebrities, famous birthdays, historical events, and past life were excluded. Try another birth date of someone you know or try the birthday of these celebrities: March 30, 1979 – Sean Garrett, American singer-songwriter and producer; July 27, 1922 – Adolfo Celi, Italian actor, director, and screenwriter (d. 1986); April 20, 1914 – Betty Lou Gerson, American actress (d. 1999).